Operation Rescue is an extremist anti-abortion group with a terrifying history of violence. From conspiring to bomb an abortion clinic to helping facilitate the murder of abortion provider Dr. George Tiller, the group continuously proves that it has dangerous intentions in its crusade against abortion. And now, Operation Rescue has launched a brand new website that will undoubtedly lead to more violent acts. 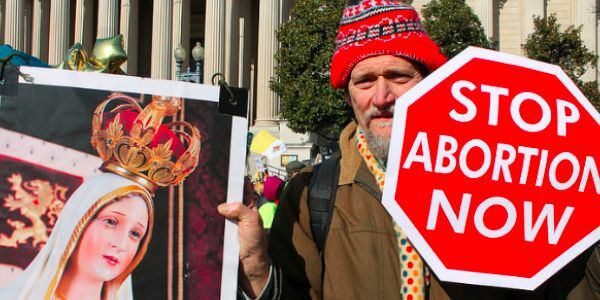 Please sign this petition urging domain registrar GoDaddy to remove Abortion911.com now before more innocent people are hurt or killed. Using crowd-sourced tips from anti-choice activists, Abortion911.com will publish photos and stories to spread lies about abortion. Essentially, Operation Rescue is asking people to stalk patients, providers, and staff, supplying content for the group to spin any way they like in an attempt to try to disprove the research-based fact that abortion is safe. Not only is this an invasion of privacy, this will likely incite more violence against those seeking and providing abortions. In the past two years, threats of harm or death and incidents of trespassing at clinics have grown drastically. This mission of this new website will most certainly lead to more violent threats and acts. It's no secret that Operation Rescue uses violent tactics to further its mission, and the implications of this new venture are clear. Tell GoDaddy to drop Abortion911.com now.